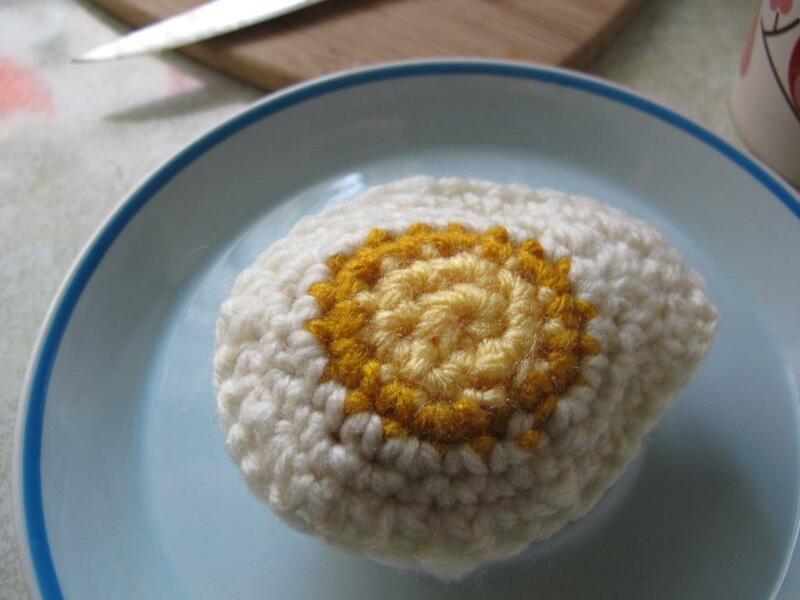 Everyone likes their eggs done a different way. My favourite way is hard-boiled with a huge dollop of Basil Hollandaise. 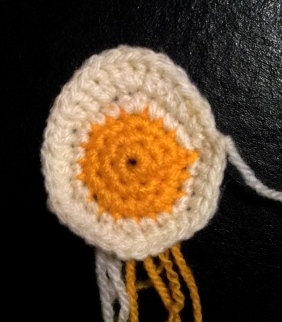 To that end, I have made a simple little pattern for a hard-boiled crochet egg. Why not! 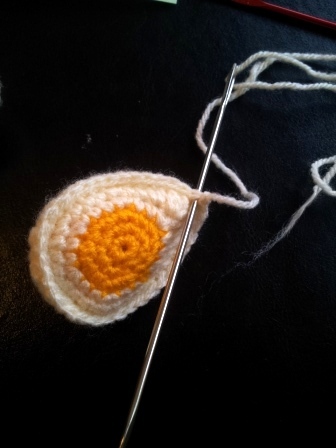 I needed a little project after all the maths of the Crochet Dinosaur Puzzle and my Mystery Project! 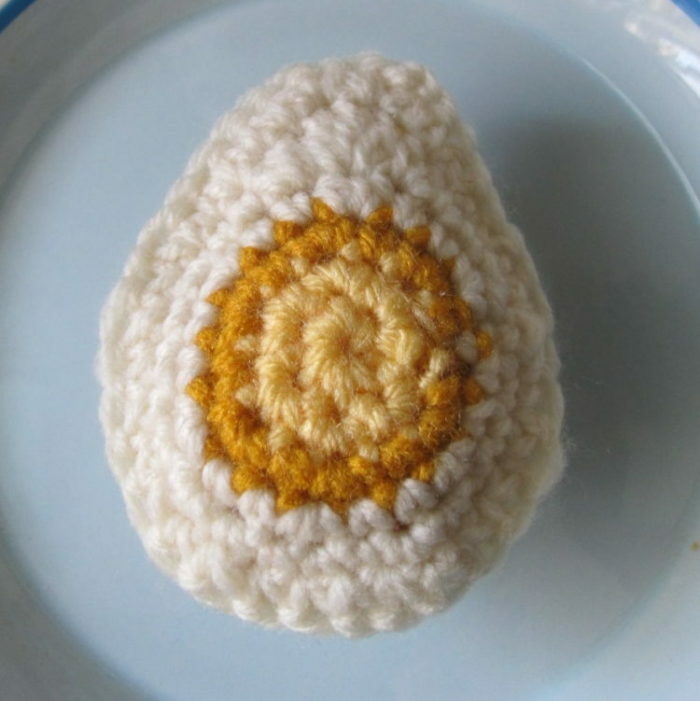 And this little hard boiled crochet egg was just the thing. 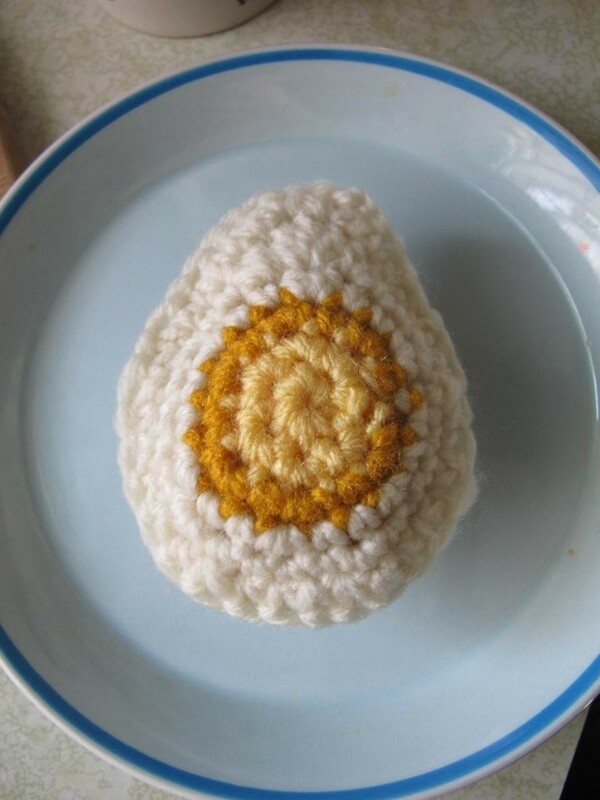 Thank you very much, Kathleen D’Angelo, for letting me use your lovely photos for my “eggcellent” pattern! () – Repeat instructions between parentheses the number of times specified. Add this pattern to your Ravelry Queue. With cream yarn, ch 2. Rows 7 – 9: As Row 6. 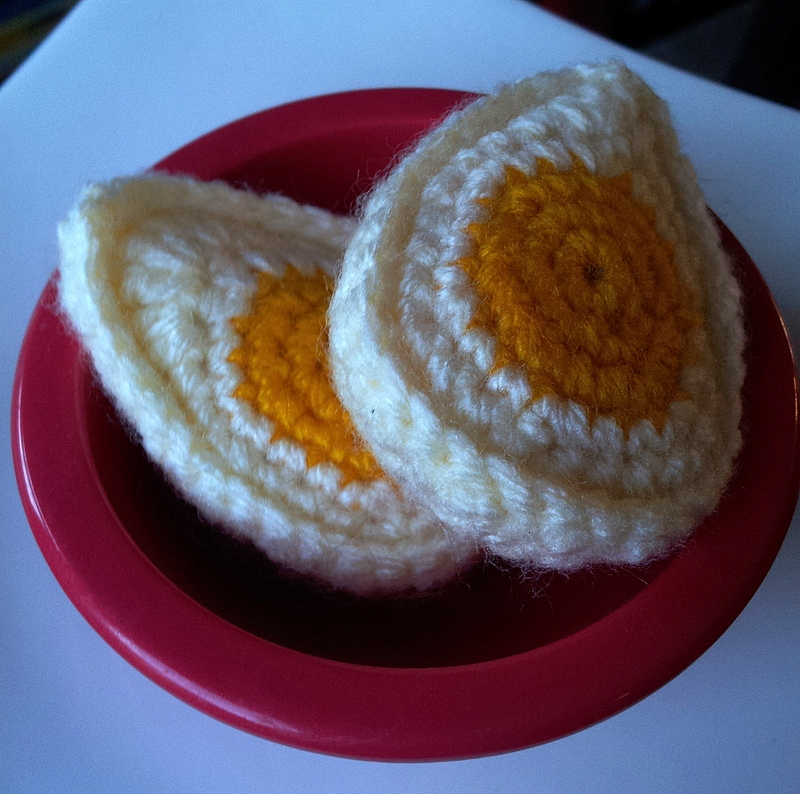 With yellow yarn, make a magic ring. 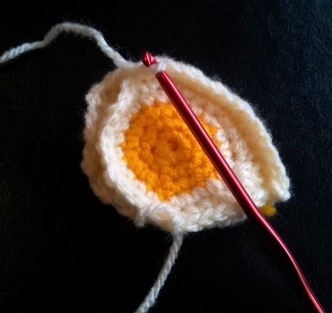 Take the inside of the crochet egg and hold it with the right side facing you. 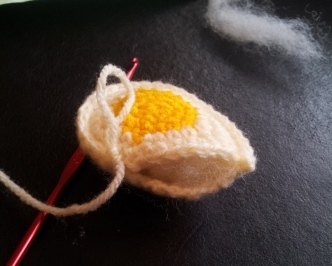 With a sl knot already on your hook, insert your hook through the stitch at the pointy end of the egg (it should be the second dc of the 3dc-in-same-st cluster). Now insert your hook through the st at the top of the outside part (the st formed by the sc3tog in last round). Sc through both these sts and continue working around, making a sc through both layers in each st and row around. When you get 3/4 of the way around the egg, stuff it and continue. 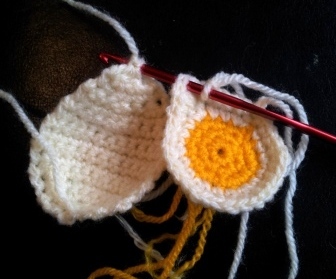 When you get to the last st, don’t bind off just yet. Sc through the first st and row one more time and then sl st in the next st. Fasten off and work away your ends. Make sure your egg is stuffed enough, otherwise it will look lumpy and un-egg-like. 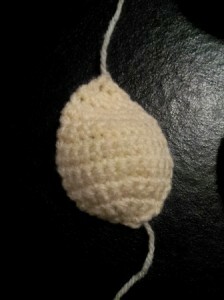 Don’t stuff it too much, otherwise, it will start to look like a deflated rugby ball.